Everything starts with power and always essential to have a good power cord. The Power cord is often neglected but is the foundation of your system. 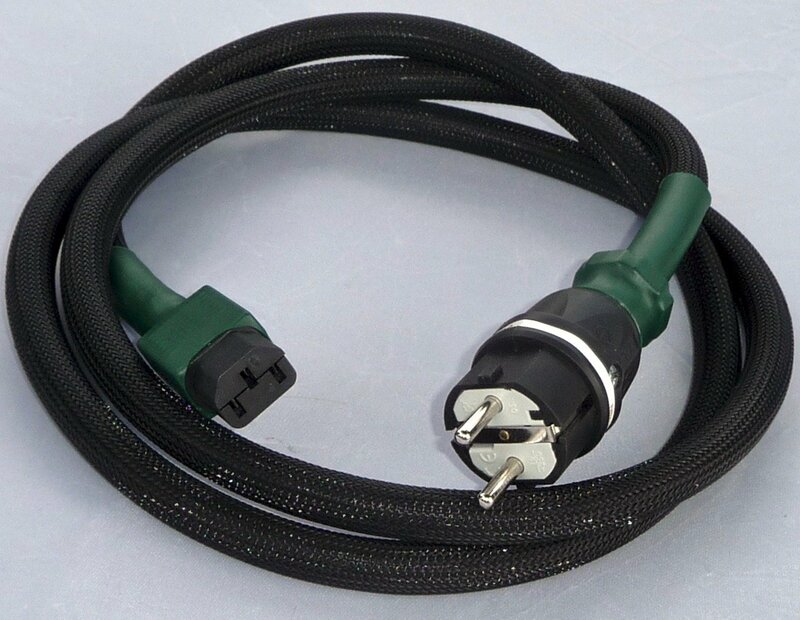 The Power cord performance is achieved because the conductors are produced according to harmonized standards. (H) for voltage 300/500 V (05), in PVC insulation (V) and in PVC sheath (V), with the copper flexible multi-wire cores (F). 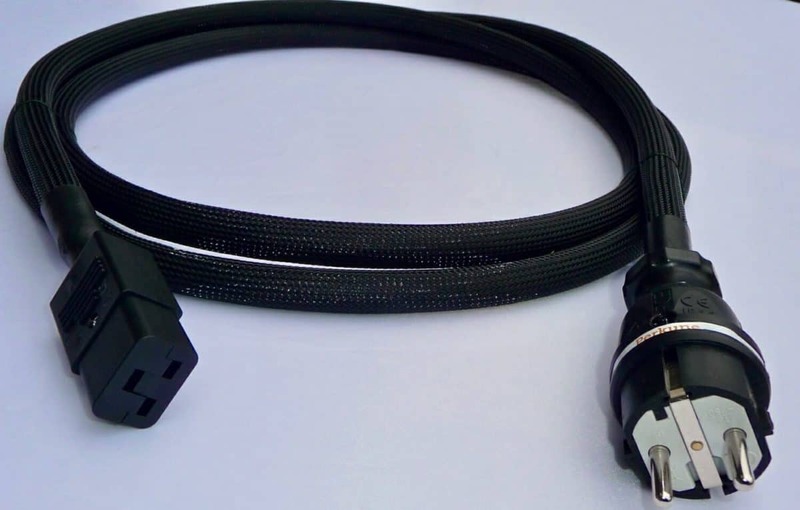 The one-meter power cord is just a little bit special because it has three level AirGap isolation, the latest Industrial IEC heavy duty C-13/HC5 connection and industrial Schuko (impact resistant) tamper-proof plug which is ideal for all component connection and makes this one of the best value power cords anywhere! 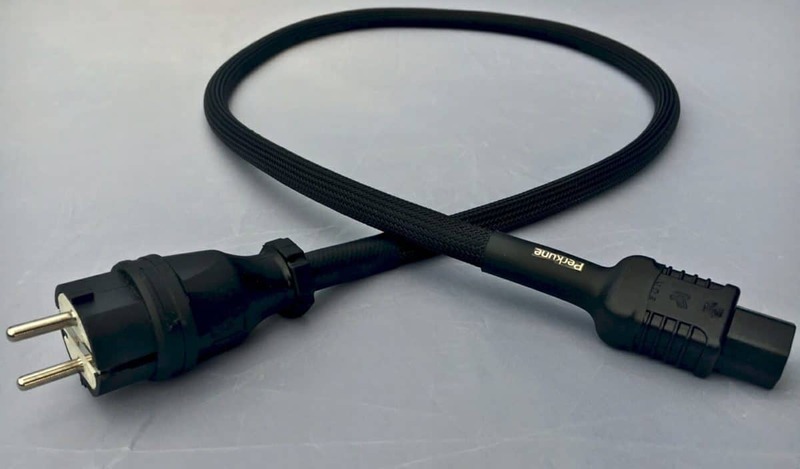 Cable Diameter: 14.0 mm. Conductors: 3 x 2.5 mm OFC, multi-wire class 5. Resistance: 0.99 ohms/300m. Weight: 1.2 Kg/ meter. Insulation: PVC type TI2. Sheath: PVC type TM2. Primary AirGap: DERAY-PBFSP. Secondary AirGap: DERAY-PBFSP. Outer AirGap: DERAY-PBFSP. Outer sheath: CanuFlex PE-HB. Operating temperature: -40°C to +70°C, Normal voltage: 300/500 Volts. Certificates: PN-EN 60228 and BS-EN 60320. This power cord ultimate is a serious upgrade from the standard series. The cable offers you so much more in terms of your Listening experience. Darker background, bigger soundstage, a greater feeling of air and space. The Ultimate power cord has Two-level Air Gap isolation, industrial Schuko (impact resistant) tamper-proof plug and the IEC heavy duty C-13 which makes a really tough, well-finished and makes this one of the best value power cords anywhere! Cable diameter: 14.0 mm. Conductors: 3 x 2.5 mm OFC, multi-wire class 5. Resistance: 0.99 ohms/300m. Weight: 1.2 kg/meter. Insulation: PVC type TI2. Sheath: PVC type TM2. Primary AirGap: DERAY-PBFSP. Secondary AirGap: DERAY-PBFSP. Outer sheath: CanuFlex PE-HB. Operating temperature: -40°C to +70°C, Normal voltage: 300/500 Volts. Certificate: PN-EN 60228.
the same problem and it is a personal thing.